You will have recently seen that Lynda.com has migrated to become LinkedIn Learning. 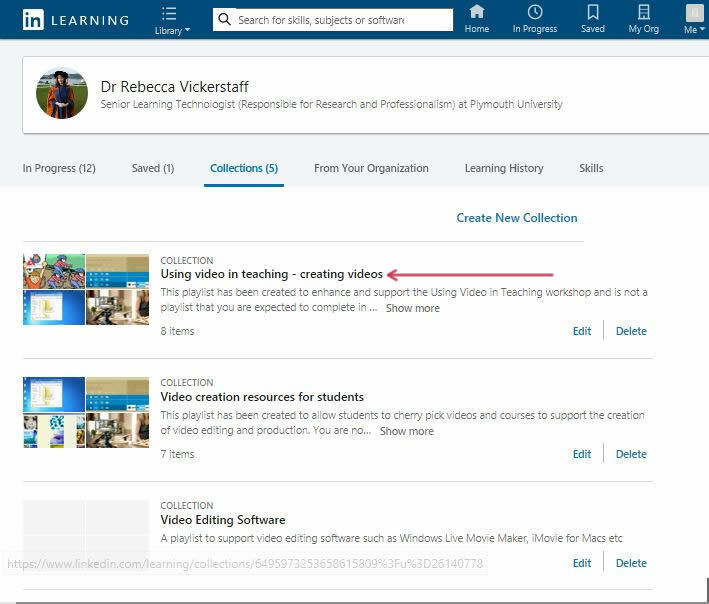 We would like to invite staff to check any previous Lynda.com video links in any teaching resource you may have and update them with the new URL’s from the LinkedIn Learning platform. Former URL’s of Lynda.com videos will continue to work for up to a year but we would recommend users change these now. 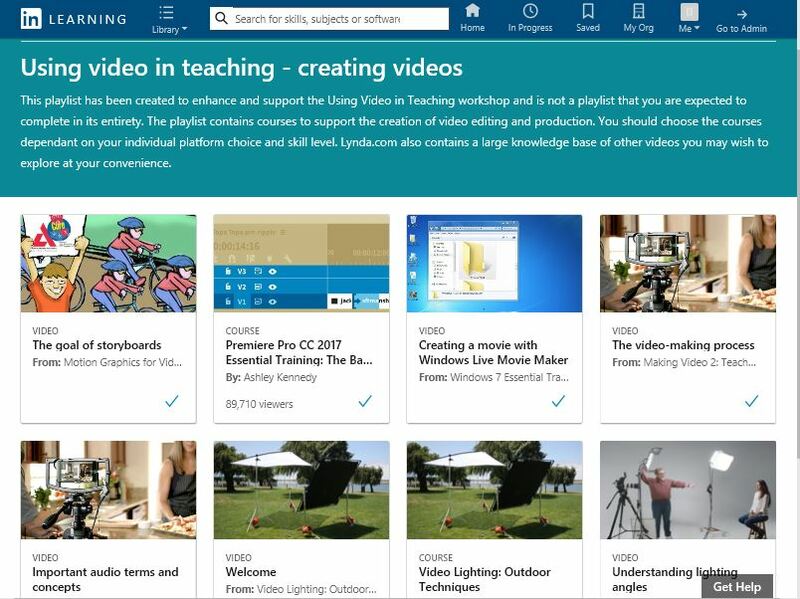 If you have previously been a user of Lynda.com, you may have also created playlists of videos, to use and share with your students. The way in which former Lynda.com playlists are handled has now changed, and we would like hear from staff who have previously used them. If you have issues with previously used playlists, please contact the TIS Service Desk. Please put LinkedIn Learning in the subject line of your support call. The Service Desk will then ask you to screenshot your old playlists, which are now referred to as ‘Collections’. How to locate your old Playlists (now referred to as Collections). To locate your old playlist, login to LinkedIn Learning using your UoP IT credentials. On the welcome screen click ‘Me’ on the top right-hand side of screen, then select ‘Collections’ from the drop-down list. Your Collection content will then be shown. This content needs to be screen grabbed and sent to Service Desk. 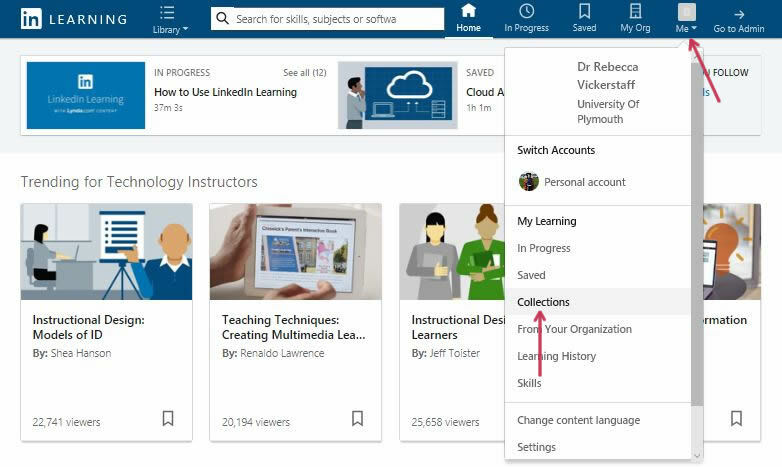 If you have not used Lynda.com before and would be interested in finding out more about how you can use the newly migrated LinkedIn Learning within your teaching, please contact Academic Support, Technology and Innovation (ASTI) at: asti@plymouth.ac.uk.